The guides below have been designed to be easily understandable, even by people with no programming experience. Our partner website ProRealCode.com has set up an online forum dedicated to programming. Ask us to write a full code for free. Your request and our answer will be posted publicly on the website of our partner ProRealCode. As this service is free, our programmers receive many requests and are unable to reply to all. To get an answer, make sure that your programming request respects the programming help guidelines below. 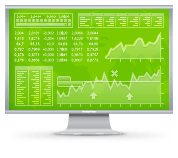 Users with real trading enabled on their ProRealTime account are replied to with the highest priority. Submit your request in English if possible. 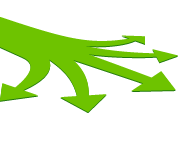 Users requesting help for the first time have priority over users who have made several requests in the past. Making requests that can be coded in a reasonable amount of time will get you a quicker answer. Please do not submit multiple requests at once. We will not be able to reply to imprecise requests. Make sure to be as precise as possible with your request and specify conditions that can only be coded in one way. Name the indicator that you wish to use to measure volatility. Specify the parameters that should be applied with this indicator. Specify above which level of the indicator volatility should be considered as "high". Do not forget to specify the quantity and the type of your order. "Buy X with a market order when the indicator Y (with parameters A, B, C) goes above the level Z." To process your request, our programmers may need to contact you. Your contact details will remain confidential. 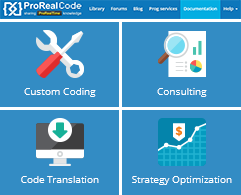 The ProRealCode.com website also offers custom programming services. Contact them using the dedicated form on their website* and they'll send you a quote based on your request. 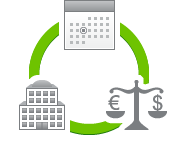 ProRealTime does not receive any commissions on the services provided by ProRealCode. Your request has been sent successfully to our programmers. If it respects the mentioned guidelines, you will receive the response within 1 to 7 days. Please make sure that all fields are filled in and submit your request again. What is an IG account sponsored by ProRealTime? With an IG account sponsored by ProRealTime, not only are you a direct client with IG, having the same spreads and conditions as a standard IG client, but you also benefit from additional exclusive advantages.